WASHINGTON, Feb 25 2014 (IPS) - The Group of 20 (G20) industrialised and emerging economies on Sunday formally expressed frustration with the ongoing inability of the United States to approve a major reform package that would see governance at the International Monetary Fund (IMF) shift more towards developing countries. The reforms were approved by the IMF in 2010 and have since been ratified by more than three-quarters of the fund’s member governments. Yet while the administration of President Barack Obama has been a key proponent of the reforms, the U.S. Congress has thus far been unwilling to approve the changes. Because the United States, with around 17 percent of voting rights (or “quota” shares) has an effective veto within the IMF, the reforms cannot go forward without the U.S. vote. The process has now missed a January deadline, while a second deadline for a subsequent round of changes is looming. On Sunday, the G20, which has been a key organiser of the international financial response in recent years, strongly criticised the deadlocked reforms process. It also offered a new deadline for U.S. action. “We deeply regret that the IMF quota and governance reforms agreed to in 2010 have not yet become effective,” the G20 stated in a communiqué on Sunday, following a ministerial meeting in Australia, which is hosting the grouping this year. IMF Managing Director Christine Lagarde echoed this concern, saying Sunday that the fund “share[s] this view and urge[s] rapid progress on implementation.” The Washington-based institution is considered the world’s “lender of last resort”. The quota changes would significantly increase the currently underweighted influence of fast-rising economies such as Brazil, China, India and Turkey. It would do so largely by decreasing the cumulative share of European members, considered outsized in terms of gross domestic product. The Netherlands and Spain, for instance, both have voting shares similar in size to Brazil’s, despite the fact that the Spanish economy is less than two-thirds the size of the Brazilian. Given the problems in the eurozone, the European countries have also been prime beneficiaries of IMF support in recent years. Under the quota reforms, the so-called BRICS countries – middle-income countries including Brazil, India and China – would see their vote shares expand the most significantly. The 2010 reforms would shift around nine percent of these shares towards developing countries, while also doubling the size of the fund’s overall lending capacity. “The Europeans love it – they’re gloating. They have excessive power, are significantly overrepresented, and they love that [the United States] is not moving the reforms process forward,” Jo Marie Griesgraber, the executive director of the New Rules for Global Finance Coalition, a Washington-based international network, told IPS. On Sunday, a top Indian finance official warned that the failure to move forward on quota reform was threatening to undermine both IMF and G20 legitimacy. “This is perhaps the first visible failure of G20. This has reduced the credibility of G20,” India’s economic affairs secretary, Arvind Mayaram, said in Sydney, calling implementation of the 2010 reforms “vital for the credibility, legitimacy and effectiveness of the IMF”. 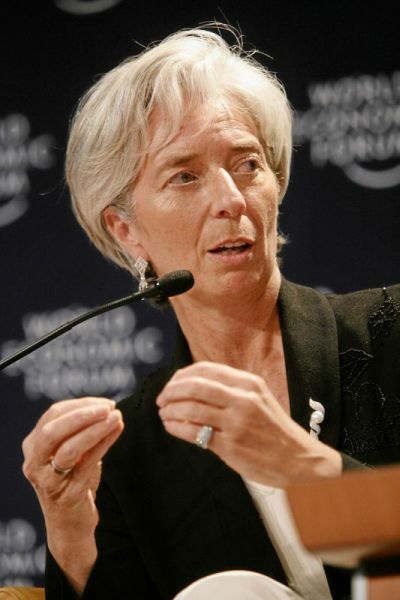 Although an esoteric topic, the IMF governance reforms have received widespread approval from important constituencies in the United States, including major business and financial lobby groups as well as a long list of Republican luminaries. In fact, President Obama bears some blame for the current situation, having decided in 2012 for political reasons not to request approval from the U.S. Congress. Yet since then, his administration has tried to do so repeatedly. Each time, however, the Republican-controlled House of Representatives has rebuffed these requests, though apparently less for ideological than for political reasons. The last such attempt took place last month, when Republicans agreed to include the IMF reforms proposal in a major appropriations bill – but only if the Democrats would agree to stop the U.S. Treasury from imposing proposed restrictions on political “dark money”. Some observers say that such a situation should only strengthen an ongoing process under which developing countries are building multilateral structures outside the IMF. “Upcoming Congressional elections may lead to further entrenchment by the U.S. on this issue. Thus it is imperative that the developing world continue to build alternative institutions such as the BRICS bank and the BRICS exchange reserve pool,” BostonUniversity’s Gallagher says. The BRICS countries announced their intention to create a new multilateral development bank last year. Yet since then, progress has reportedly been slow, particularly as ongoing economic roiling is being felt particularly strongly in emerging economies. “There is good talk about these projects, but most countries remain very reluctant to walk away from the [IMF]. Nonetheless, we are already seeing a gradual erosion in the use of the institution,” New Rules’s Griesgraber says. The IMF is the old world. The new world, the BRICS need to create their own IMF, they supply most of the funding but have no rights, it’s economic idiocy to allow a bankrupt nation like the US control the IMF.